26 May - Book Launch. Flanders and The Netherlands join hands to present their architectural reviews at the Biennale Architettura 2018. Both publications examine new approaches in architecture that are related to long-term cultural developments, which are closely aligned with the notion of FREESPACE. 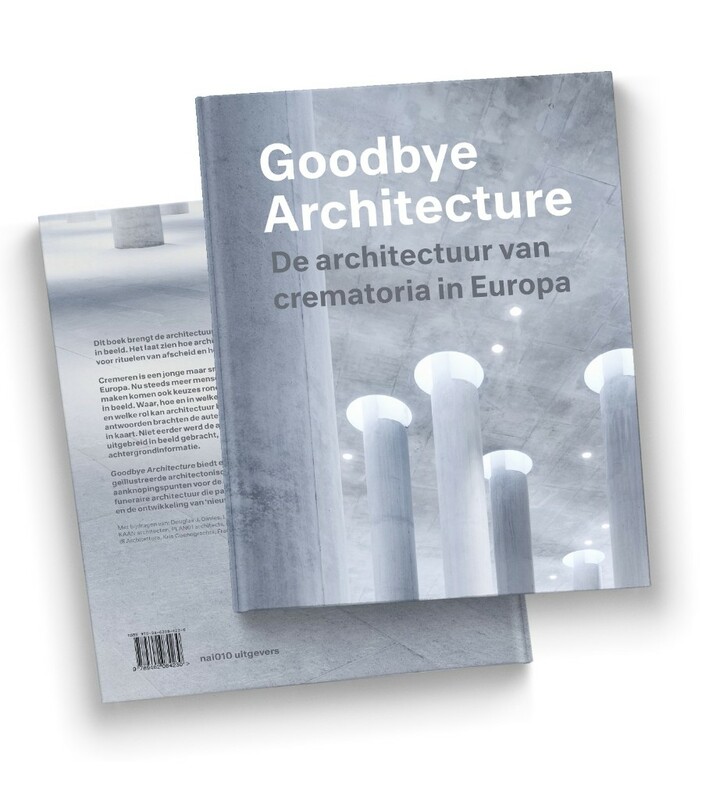 All speakers are part of the editorial board of the Flanders Architectural Review N°13 or Architecture in the Netherlands 2017-2018. More information. 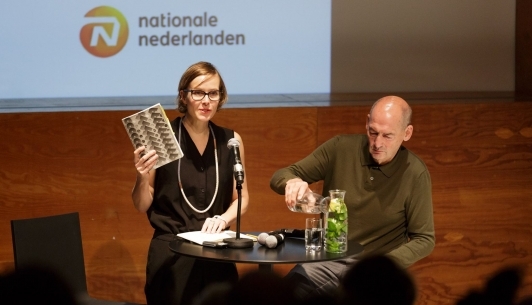 14 June - At this Architecture in the Netherlands evening on location at the Van Eesteren pavilion Amsterdam we will take a closer look at the theme the rediscovery of the periphery. How can architecture be used to expose histories, create stages for stories and make landscapes tangible? 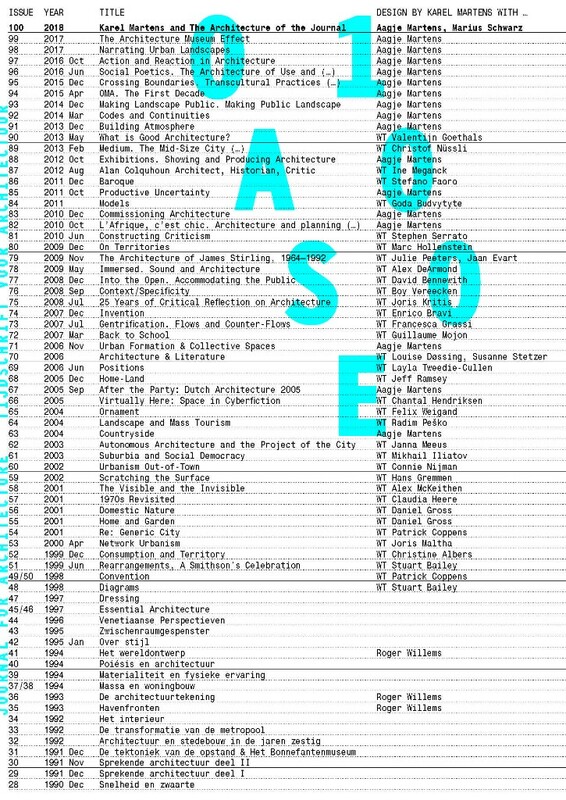 The 100th issue of OASE takes the journal’s long-standing collaboration with its graphic designer Karel Martens as a starting point to explore the relationship between architecture journals and graphic design. In doing so, it challenges the conventional idea that architecture journals are mere carriers of information, showing instead how these journals play a defining role in the message they convey. 27 May - Exhibition. Exploring the artists concept of “wearable art", Viktor&Rolf Fashion Artists 25 Years features some of the Dutch design duo’s most show-stopping and innovative works. This second extended edition of the book includes an exclusive interview by curator Thierry-Maxime Loriot with the fashion artists, a fascinating glossary of Viktor & Rolf and a rich iconography with images by leading contemporary artists and photographers. Exhibition at Kunsthal Rotterdam until 30 September 2018. 2 June - Exhibition. French artist Odilon Redon was masterful at interweaving the expressive powers of literature, music and the visual arts. 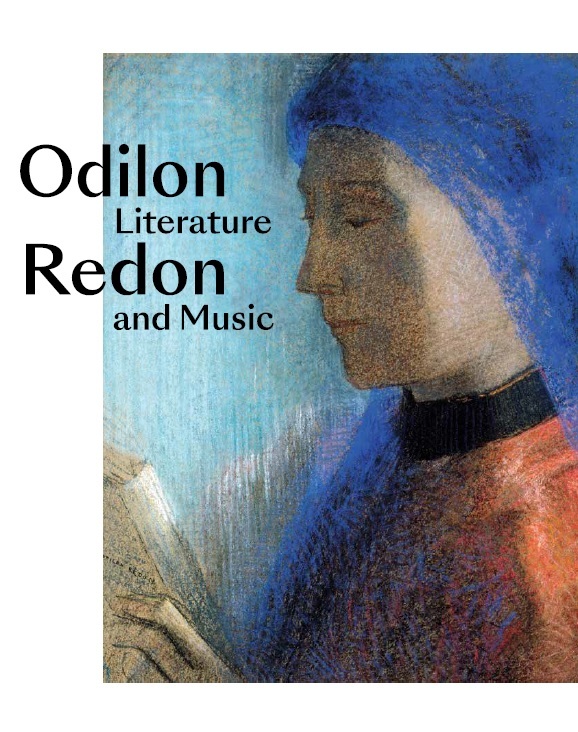 By addressing some of Redon’s favorite themes, this richly illustrated publication shows how he transposed literary and musical motifs into his own work and how he reinvented such themes over and over again creating new associations and meaning. Exhibition Kröller-Müller MuseumOtterlo until 9 September 2018. 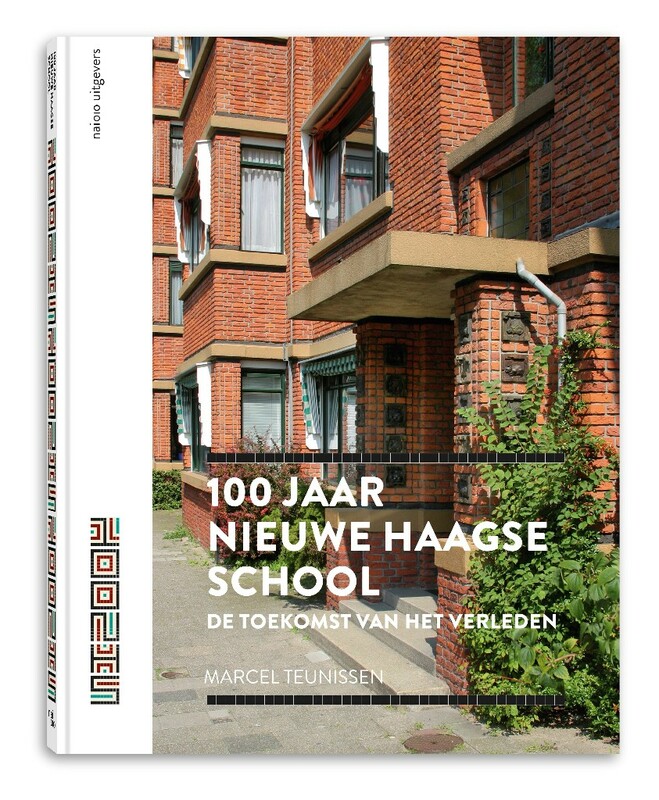 2 June - Book Launch (Dutch) In 2018 is het 100 jaar geleden dat de architectuur van de Nieuwe Haagse School zich manifesteerde. Dit leidde tot een grote reeks iconische gebouwen en monumentale stadsbeelden van hoge kwaliteit. Centraal staat de betekenis voor de huidige stad en haar opgaven voor de toekomst. Boek presentatie Atrium Stadhuis Den Haag. Bekijk de website voor alle activiteiten rondom deze manifestatie. 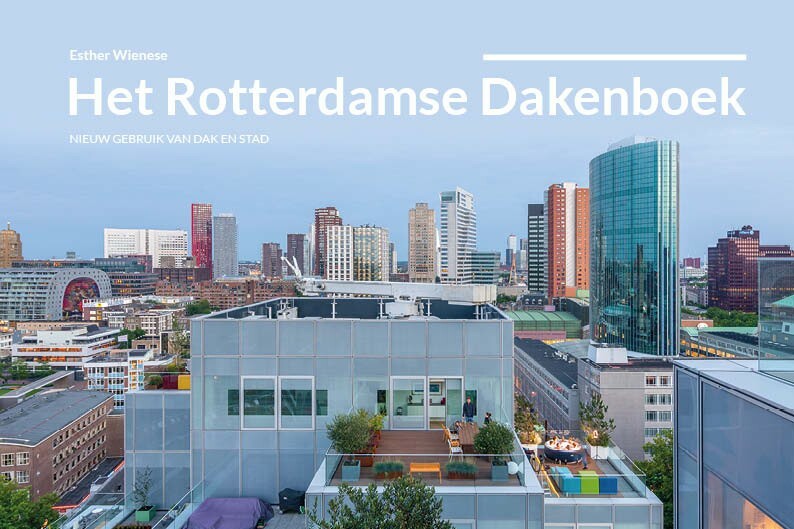 Author of Het Rotterdamse Dakenboek, Esther Wienese, offers rooftop tours that shows you the best rooftops of Rotterdam. The locations visited are based on the selection rooftops that feature Het Rotterdamse Dakenboek. 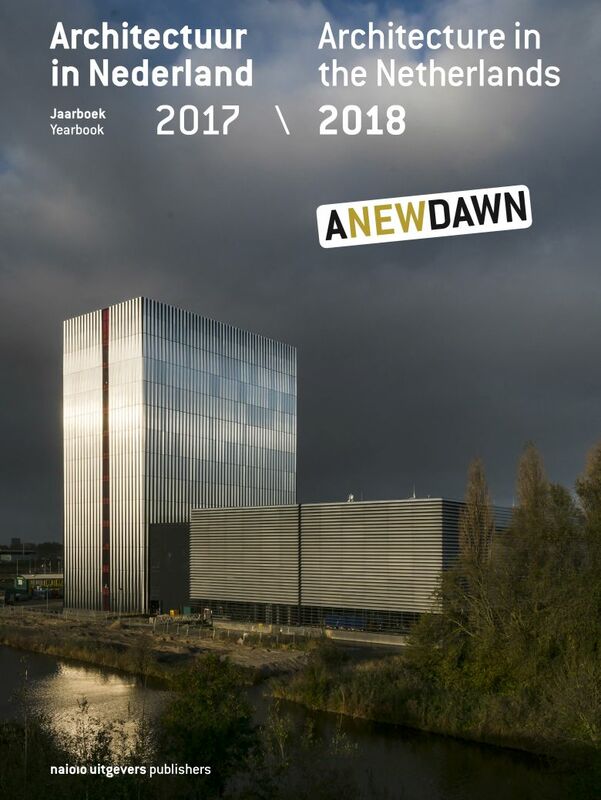 This book is an informative and inspiring book about what is currently happening on the flat rooftops of Rotterdam and what the city hopes to achieve. Twenty visionaries discuss the rooftops’ role in the city of the future. Thirty-seven example rooftops illustrate how Rotterdam is already using its rooftops for rainwater collection (blue), nature (green), living, working and relaxing (red) and energy (yellow). The book also provides a glimpse of future rooftop developments. 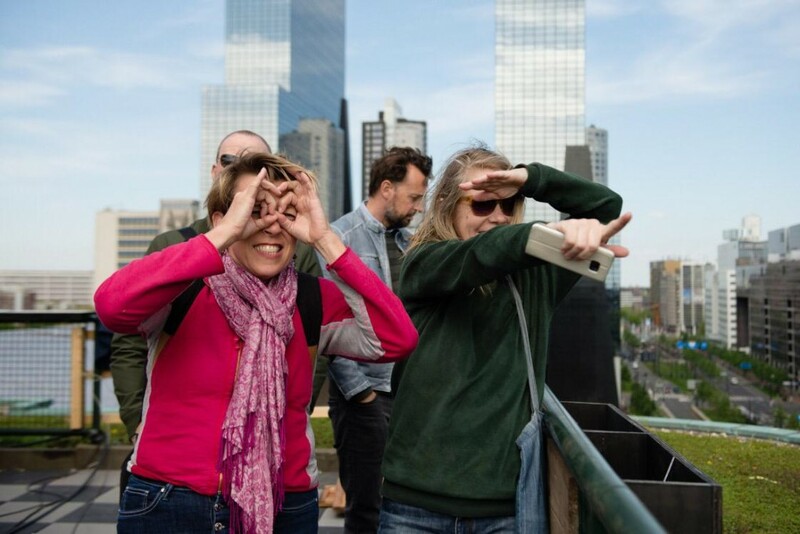 Book your rooftop tour here!